Today at a meeting someone commented on my jewelry. My earrings are made from the necks of recycled bottles, cut in hoops and smoothed in a rock tumbler filled with water, pebbles and sea salt. My necklace is a small bottle filled with sea glass from Ft. Bragg, California. For years residents moved trash including automobiles over the edge of a cliff. 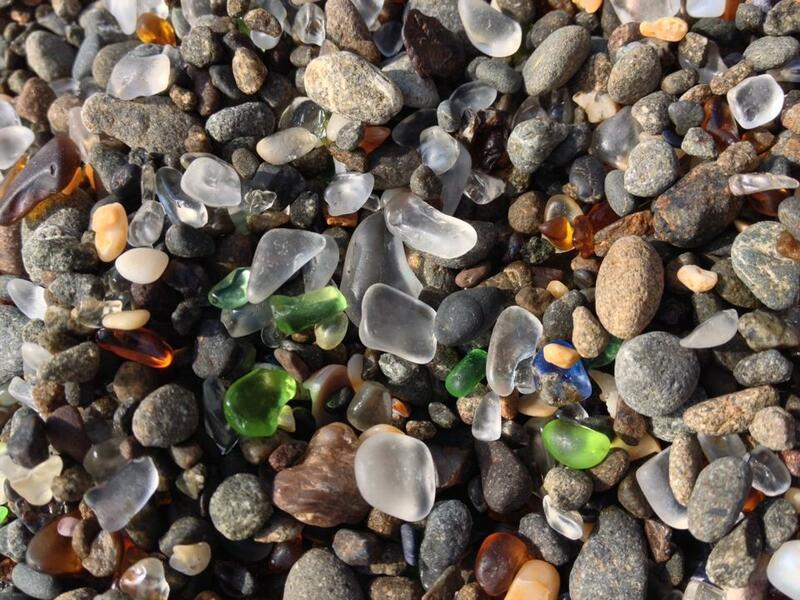 The storms and pounding waves had recycled the pieces of glass into an amazing sea glass beach, discovered during a clean-up project in the 1970’s. To me it’s a picture of resilience. I wear my art as a reminder that hard times can in fact be transformed into something beautiful. Resilience is the capacity to recover from difficulties; toughness. All of us have strengths and weaknesses. It is our strength that makes us resilient. Possibly recognizing our weaknesses also makes us resilient when we take the steps to shore those areas up. Bridges out of Poverty lists the following personal resources: financial, emotional, mental, spiritual, physical, support systems, knowledge of middle-class hidden rules and role models. These resources represent our capacity to recover from crisis, having resources makes you resilient. So when life dumps trash your way and unending waves of crisis and loss beat away at you, take the time to examine your resources and build them. The result is that the rough edges get worn away, polished even. Maybe it’s going to take strength and energy to get rid of the trash and find the treasure. So during the good days build on your strengths and take the time to identify a weakness and work on it. Take a minute or two today to list your strengths. Express gratitude for the resources in your life. Name one weakness and come up with a plan to strengthen it so when life happens you recover quickly!